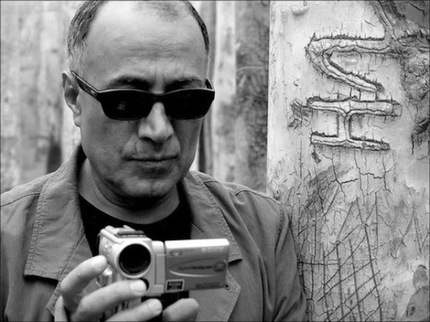 Coinciding with the North American release of his new film, Like Someone In Love, The Film Society of Lincoln Center presents A Close-Up of Abbas Kiarostami: a 9 day retrospective (February 8th - 17th) featuring the Iranian master filmmaker's documentaries, shorts and selective narratives. This retro is a rare opportunity to witness the evolution of one of the most prominent filmmakers working today. In 1997, Kiarostami's Taste Of Cherry won the Palme d'Or at Cannes, putting the Iranian New Wave on the map, shedding a light on many other deserving Persian filmmakers including Mohsen Makhmalbaf, Jafar Panahi and Amir Naderi. Disarmingly simple yet highly sophisticated, blurring the line between documentary and fiction and defying easy categorization, AK's films are regarded as prime examples of post-modern cinema. But the fact is, AK has been making films since the 70s: he helped establish the filmmaking department at the Institute for Intellectual Development of Children and Young Adults (Kanun) in Tehran and made a series of documentaries and shorts concerning school children. All of his Kanun films will be shown at the retro. My first AK experience was The Wind Will Carry Us (1999). A good friend of mine introduced me to Mohsen Makhmalbaf's films (on bootlegged VHS) and soon I was enamored by anything Iranian. It was a spur of the moment decision to check out The Wind Will Carry Us in theaters in 2000, not knowing anything about the film other than it being another film from Iran. And what an experience it was! Its simplicity and humanism with a great eye for landscapes impressed me greatly and has made me a devotee of the director ever since. What's most striking about his artistry is his effortless, seamless quest for truthful representation of life on film. Whether they are shot on 35mm or with a consumer grade handi-cam, the inquisitive interactions of non-actors with their natural dialogue often imply that there is no real distinction between cinema and reality. AK's depiction of children, from his Kanun days (The Bread And The Alley, Breaktime, The Traveler) to later films (Koker Trilogy, ABC Africa, Ten) is that of non-disciplinarian. In his feature documentary, Homework (1989), it is obvious that the educational system in Iran is too strict and puts a lot of pressure on children, both in school and at home. It's revealing that all the children interviewed for film know what punishment means but don't know the meaning of the word praise. Then there are parents who say the system is too harsh on the children, that it kills their creativity and would end up producing a generation of mindless drones. The director seems to be agreeing with this sentiment. The directing style he is known for in his later films- shot/reverse shot dialogue, daring structural shift are already present in Homework. Unlike many other Iranian filmmakers who actively make political statements with their work (his former assistant Jafar Panahi being the most vocal one), AK's films aren't overtly political. But the given complexity of his work, Iranian government bans any exhibition of AK films in Iran, fearing that there might be hidden subliminal messages. But unlike the Iranian New Wave filmmakers of his generation who fled the country after the 1979 revolution, AK stayed and kept making films exclusively in Iran until his first European production, Certified Copy, in 2010. He accepted that restrictions and censorship were a part of life in a rigid society but always found ways to express himself in changing environs. Cold and bitter, The Report (1977) is nothing like his later films that are optimistic and life affirming. Firouzkoui is perhaps the least likable character in all of AK's protagonists- he cheats, lies and abuses his position as a tax investigator. After being accused of corruption and short on rent money, he resorts to beating his wife and neglecting his baby daughter. Considering The Report was made before the Iranian Revolution in which Shah was overthrown and The Islamic Republic established, the film is perhaps a snapshot of the state of things in the era, a report on petite-bourgeoisie, steeped in selfishness and materialism. It's also interesting to see the secular Tehran- women wearing revealing western clothes, men drinking and gambling, gridlocks in the city streets, etc. AK observes all this from a distance. The Report is a hard film to like but I can see its merits. Any scenes shot from the interior of moving cars became synonymous with a Kiarostami film. From the bustling bottleneck traffic of Tehran in The Report to Taste Of Cherry (1997), The Wind Will Carry Us (1999) and Ten (2002), the philosopher AK reminds us that life with its ebbs and flows, is never stopping/always changing. If Tarkovsky tried to make us feel the 'passage of time' with his creeping tracking shots, Kiarostami achieves this in astounding simplicity- life passes you by through the window of a moving car. A middle aged man and his young son are on the road to Koker, a northern rural village leveled by the devastating earthquake in 1990. They spend most of the film's running time in their car. This is the premise of Life And Nothing More... (1992) It is only revealed later on that the man is a film director (a Kiarostami stand-in) who is looking for a child actor who starred in his previous film, Where Is Your Friend's Home? (AK's 1987 film also taking place in that region). As they encounter monstrous traffic jams and many victims of 'the god's will', the line between reality and fiction evaporates. Shot shortly after the real earthquake that took the lives of 50,000, and based on his own experience driving around (with his own son), the film shows resilience of the people amid a horrible disaster. As they make ends meet, digging out their household items from debris, they still look forward to a better future. They fidget with a TV antenna to watch a World Cup match in ruins. Through The Olive Tree (1994, a fictional 'making-of' Life And Nothing More...), completes his trilogy that takes place in Koker. Elegantly simple and captivating throughout with an open ending, Life And Nothing More... is a beautiful film. In Close-Up (1990), AK retraces an imposter case starring real life participants. The result is a moving examination on 'life imitating art imitating life', rather than sensationalistic satire about fame and deception. AK pays homage to Ozu Yasujiro in Five (2003). The film consists of 5 static long takes of a coastal area in Iran without any characters or dialogue. The commonality of their films lies in humanism and respect for their audience rather than the camera placement. The final part where he traces the reflection of the moon on the surface of a pond with the chorus of its nighttime surroundings to the breaking dawn is a moment rife with thrilling cinematic magic. When AK first busted out onto the world cinema stage, critics didn't know what to make of his films: Roger Ebert gave Taste Of Cherry one star, calling it 'excruciatingly boring', while Jonathan Rosenbaum desperately tried to find some sort of reference in Western cinema tradition in his films. But as the filmmaker says in 10 on Ten (2004) that in simply showing austere reality with an open ending, he believes one can entice audience to reflect on their own lives. I can't think of a higher compliment to the audience than what AK bestows upon us with his films. The retro includes the much praised Taste Of Cherry, The Wind Will Carry Us, Certified Copy, along with the theatrical release of Like Someone In Love on February 15th. For tickets and complete listings please visit FSLC website.